At its most basic form, jury consulting involves conducting organized mock trials to 'test' a case before actually going to trial. Like any effective scientific experiment, tests are conducted in the form of alternative arguments, theories and litigation graphics, and then, these results are tabulated and analyzed. Similar to the science experiment, the more one tests, the more accurate the results. A2L Consulting’s jury consulting team is composed of only the industry’s top researchers used to working on bet-the-company matters. All are nationally recognized experts in their field. Each have been asked to present their thoughts and ideas on a variety of topics for large pieces of litigation, national news media, conferences and association meetings throughout the country. Our jury consulting approach to each case relies on our experience and the latest research on witness credibility, persuasion, memory retention, and communication. Realizing that every case requires different research methodologies, we work to custom-tailor our services to accommodate your needs and bring a new, creative approach to each case. The term jury consulting is something of a misnomer since many of the cases we consult on are actually bench trials. In these cases, our teams works to simulate your Judge as closely as possible. When available, we recommend the use of carefully chosen retired Judges to preside over a mock bench trial. As a result we often use the trial consulting to describe our services more accurately. Jury Consulting Article: Who Are The Highest-Rated Jury Consultants? 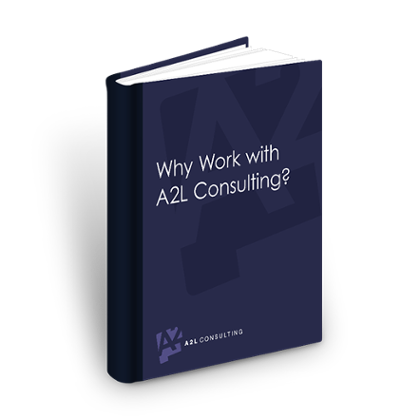 How Does A2L Consulting Differentiate Itself from Its Competition? One important factor which immediately sets A2L Jury Consulting apart from its competitors is the fact that A2L Consulting is attorney-owned and operated. As a result, the team at A2L can immediately grasp even the most complex legal issues, and can offer a higher level of insight into the development of effective trial presentations and strategies. This critical distinction also serves to save your client money by allowing the trial team to focus solely on its case, rather than having to waste valuable time explaining basic legal concepts. This advantage is particularly important in the context of litigation because of the rigid deadlines and intense time pressure which litigators often face. To learn more about our trial strategy and exhibit techniques, to have a presentation made to your firm on these and other subjects, to request a proposal for upcoming litigation or to simply ask a question, please contact us.